For the past three months I have been volunteering twice a week with the 4th, 5th, and 6th grades at Dkalim School in the Valley of the Springs. I work with the kids on conversational English; if they were speaking in English, I didn’t much care what the topic of conversation was. It was a lot of fun for me, and maybe it’s because I took them out of their regular class, but the kids seemed to enjoy it as much as I did. I even have a few thank you cards to prove it. So how does this bring me to the topic of my Jewish Federations of North America Mission to Ethiopia? Other than using the word “incredible”, I struggled to figure out how to tell people about what I saw. A couple Thursdays ago, was my last day with Dkalim. It also was one of the last days for the kids before Pesach break. I was asked at Genia, the teacher I volunteer with Dkalim, to tell some of the classes about my experience. I narrowed my nearly 800 pictures down to twenty, and eventually decided to let the pictures in some ways, speak for themselves. I really didn’t know what we would be doing there, and wasn’t sure what to expect. 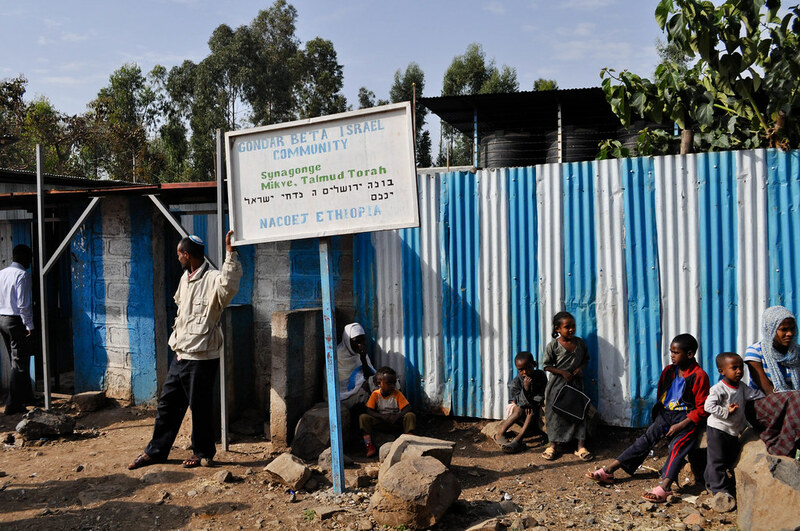 I thought there would be poverty, and there was; I thought there would be wonderful people doing great work on the ground, and there were, but not enough and with too few resources; I thought the Ethiopian immigration was similar to any other to Israel, and I couldn’t have been more wrong. I’m now fairly sure that I understand the Ethiopian-Israelis’ experience and history less than I did before I left Ben Gurion Airport for Addis Ababa (the capitol city of Ethiopia). 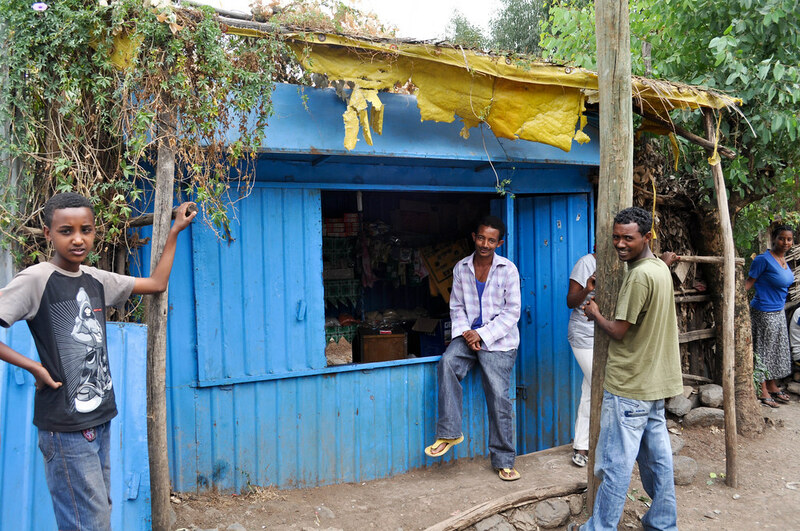 We only spent three days in Ethiopia, but we saw a lot while we were there. I’m still trying to process everything we learned a few weeks later. I went through a simplified version of our group’s itinerary. To make things easier, I skipped the controversial issues like the Falash Mura and their relationship with the Beta Israel. Briefly: the Falash Mura are Jews historically, converted to Christianity one to two generations ago, and are “coming back” to Judaism now. There were and still are tensions between the two communities. I also didn’t talk about one purpose of the trip, which was to raise money to bring the remaining maternally-Jewish Falash Mura back to Israel. The trip was certainly complex, and I feel that the best way to understand it is through pictures. Our first stop after our flight from Addis Ababa to the rural city of Gondar was the synagogue. That visit set the tone for the rest of our trip. The walls and roof were made of corrugated metal, the floor was dirt. 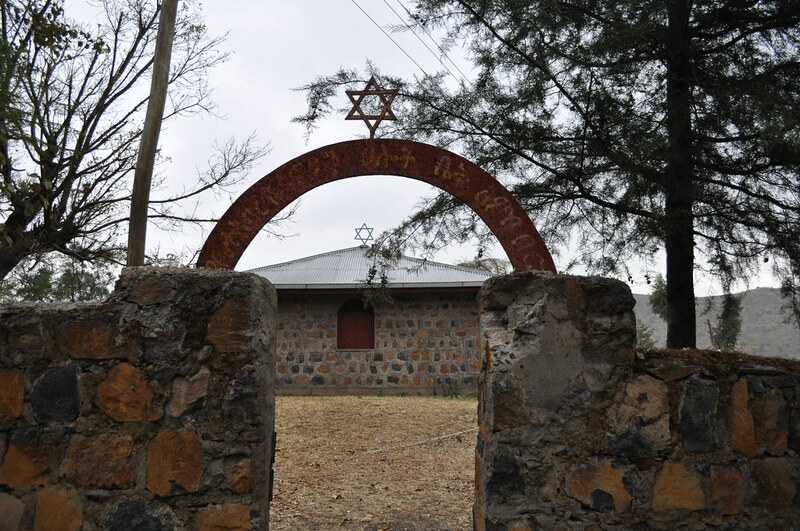 A nonprofit set up the synagogue to facilitate bringing the Ethiopians “back to Judaism”, the synagogue and all of the nonprofit’s other projects are now being run by The Jewish Agency for Israel. For those who don’t know, JAFI was basically the Israeli government before the Israeli government existed. Today it still performs many pseudo-govermental roles, like running absorption centers in Israel. 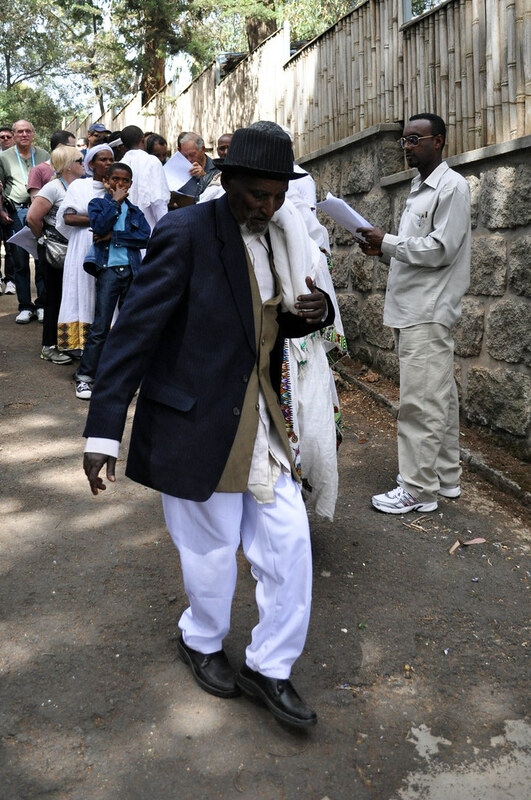 Hundreds of Ethiopians were praying, wearing kipot and tallit – it was surreal. There’s a rain-filled mikvah (ritual bath) in the back, classes for adults, and a nutritious food program. The American Jewish Joint Distribution Committee runs the food program. The Joint, as it’s affectionately referred to, is a relief organization dedicated to helping Jews and their communities, wherever they are. 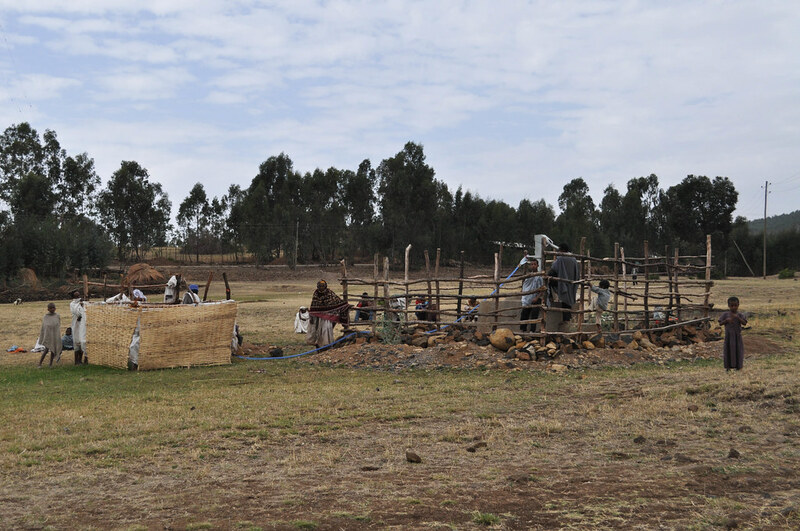 They also run some nonsectarian projects in Ethiopia, one of which I’ll mention later. 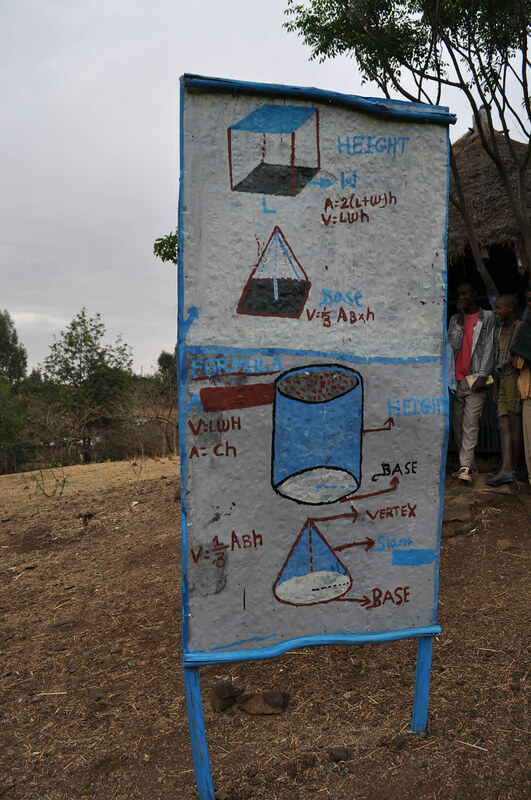 Through the feeding scheme, Ethiopians are taught to put the children front-and-center in the family. In Ethiopia, as with many non-westernized countries, children are not to be educated, or fawned over; instead they are there as a pension-policy for the parents. The more kids you have, the more they can take care of you. Here the kids are fed first, then pregnant and nursing mothers. The picture above shows a father waiting to feed his child. Given the normal culture of Ethiopia, his involvement would seem somewhat unnatural, as he gains nothing from the program for himself, only a free meal for his kid. The job of the man behind the desk, who works for the Jewish Agency, is to determine if the families are going to become Israelis. I don’t envy the challenge he faces. Roughly 10% of the 8,700 people on the list of possible Ethiopian-immigrants will be found ineligible. Thousands of applicants over the last few decades have been turned down for not being historically (maternally) Jewish. 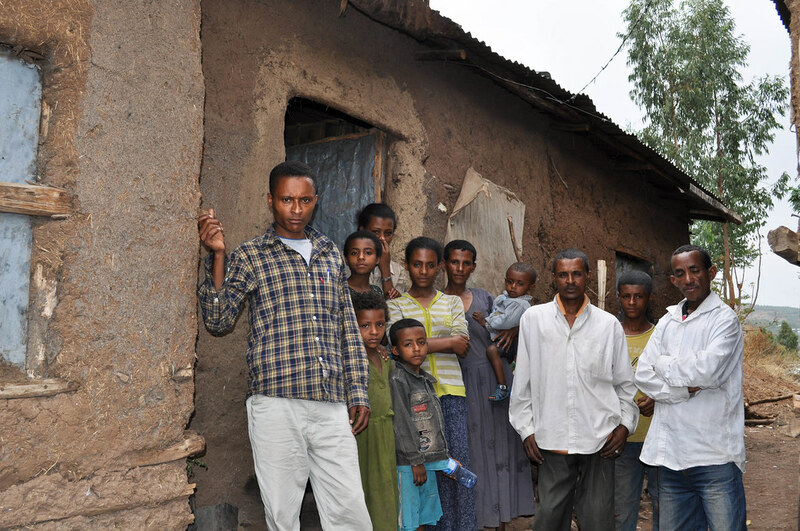 Because of the loose family structure in Ethiopia, most of them already have family in Israel – aunts, uncles, cousins, etc. They therefore feel that they have the right to go to Israel for a better life, one that also happens to be a Jewish life. But Israel cannot physically absorb all of the people who want to enter and struggles to take care of all of the people already here. Taking in too many people would just be disastrous. So, through detailed interviews, the list of candidates is narrowed down to who can come. Then the real challenge starts – how do you take care of all of these people once they arrive? This is why we called the airplane a time machine. What you see above is a home, a rather nice one comparatively. This photo and the next few were what really interested the kids in my classes interested. The outdoor kitchen for several families. They cook the spongy injera bread over the fire in the center. 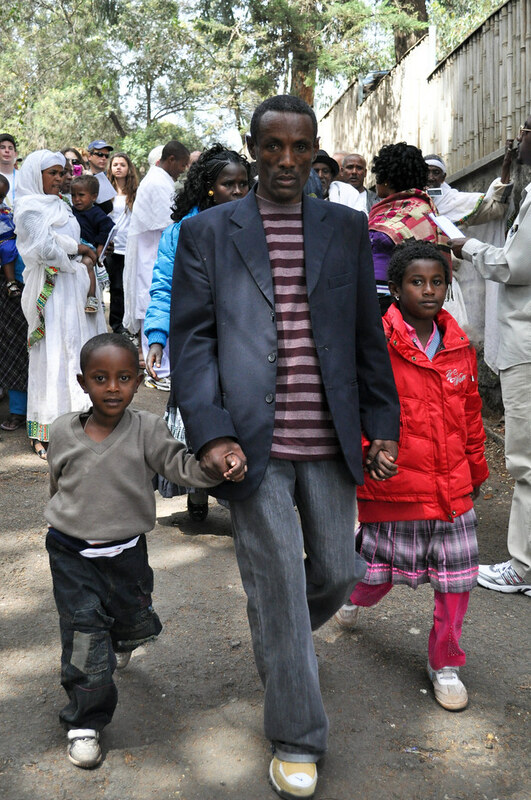 An Ethiopian (hopefully soon to be Israeli) family. All of these eleven people live in the small room behind them. They moved out of their homes in their villages, sold all of their belongings to move into this small home, half the size of the classroom we’re in now (cue the collective gasp). They might live here for years before being told that they can immigrate to Israel. 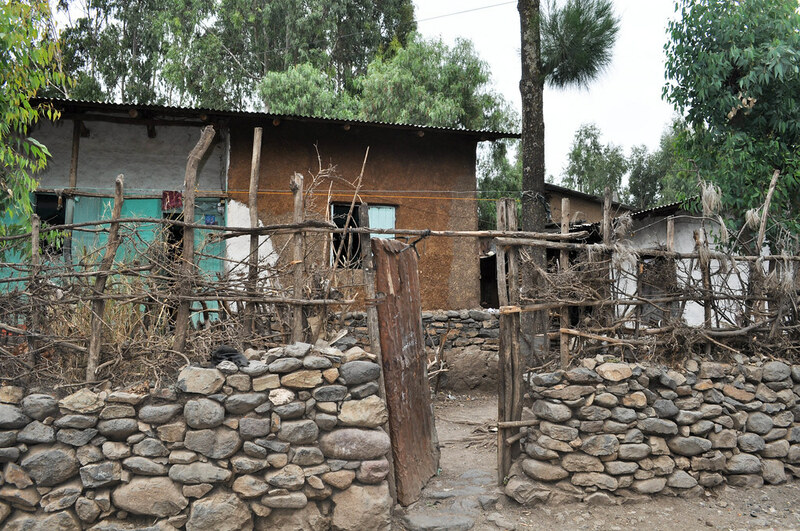 The walls of their home are made of straw, dung, and mud. We drove an hour and a half by jeep to reach this synagogue and the surrounding (formerly Jewish) village of Ambover. On our way there, we passed hundreds of children who came to see the strange white people driving through the middle of, well, nowhere it seemed. I have no clue where the kids came from. We saw no homes or huts. There is nothing along the dirt road we drove on for many kilometers. We also saw what I can only describe as a biblical lifestyle. Oxen and donkeys pulling wooden plows through fields full of rocks. Where do they get their food? These fields seem like they could never produce crops – yet apparently the land is very fertile, if cultivated correctly. The synagogue has been re-built in order for visitors to have an idea of what life was like for the Jews here. Many Beta Israelis came from this village or one nearby. It was here that we heard the remarkable story of how one of the staff on our trip, Liat Damoza, and her family made it to Israel. At three years old, she traveled on foot with her family for twelve nights (hiding during the day) in order to make it into Sudan. Her father knew enough about Muslim culture from a neighbor to convince the Sudanese soldiers that they were actually Muslims, not Jews, seeking refuge in Sudan. They lived the next year and a half in a refugee camp. I don’t think I had an idea of how terrible refugee camps could be until she told us. People were dying daily, and it was incredibly scary for such a young girl (or anyone for that matter). One night, a strange white man (we now know to have been Mossad) told them to follow, as he climbed into the belly of a giant, noisy bird covered in bright lights. The plane took off from its makeshift dirt runway (a flat piece of ground that the pilots found), landing a few hours later in Israel. A year later, Operation Moses began, bringing home most of the remaining Beta Israelis. 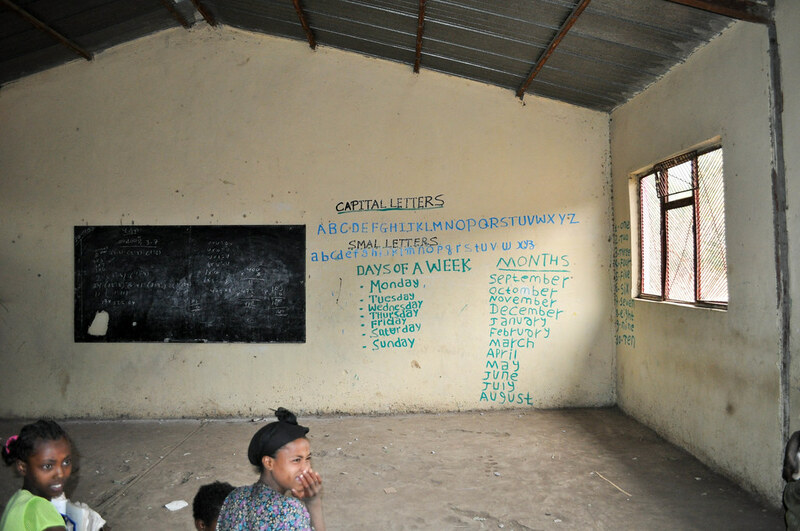 The kids at these schools don’t have books, so they write the important things to learn right on the wall. The children at Dkalim were incredulous, how could they not have books? Here’s another example of lessons being written outside for everyone to learn. In retrospect, this is not a great example. All of the kids in my class were too young to know geometry. Here’s a synagogue we visited in the village of Woloka. It’s about one hundred years old. It really makes you appreciate what you have when you realize that this building was the nicest in the entire village. This memorial is for the 2000+ Jews who died in Sudan or on their way there, trying to make it to Israel. Stones and trees have special significance in the Jewish tradition. 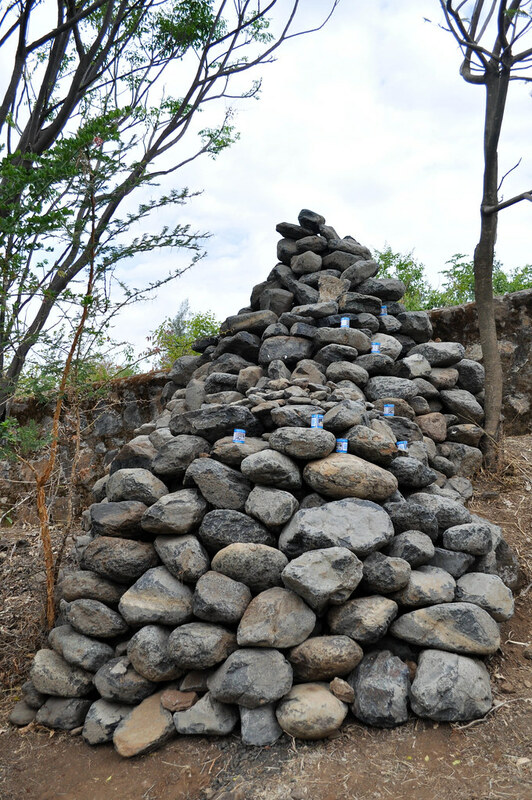 Ethiopians bury their dead, not with extravagant grave-markers with names written on them, (they have some now, but that’s from outside influence). Instead the family plants a tree in the middle of a small pile of stones. The type of tree growing above identifies the grave. I love the idea – of growing new life from the life of the old. But this memorial wasn’t for one or two people, but for thousands of unknown Jews, striving to be Jewish. This happened in my lifetime! This is what hit me the hardest. These Jews were trying to fulfill what they saw as their destiny, and return to Jerusalem. For thousands of years they had waited for the time to be right to make their way back, this was the time, but they never made it. That cramped El-Al flight I took to Israel in August doesn’t seem half-bad when you think about it. This is a water-pump and public shower built by the Joint. I told the kids that classrooms filled with children like them in America, had built water-pumps just like this one. They used money saved up from their bar and bat mitzvahs, and gave a village full of people, Jews and non-Jews that they had never met, the ability to drink water. Now I don’t know if kids had paid for this pump, or any other, from their b’nai mitzvot. But I don’t much care. For a few thousand dollars, anyone can donate to the Joint for them to build a pump like this one. They can make a fundamental difference in the lives of people in need. I was amazed to see how much the kids’ faces lit up, and how many questions they had, when they heard me talk about this. They never knew that they have the power to change people’s lives in such a fundamental way. If I accomplished anything in my time in Israel, I hope it’s that one of them realizes their ability to give to others. This is a family, some of the 105 that came with us from Ethiopia to Israel. Like the family before, this man is now an Israeli. 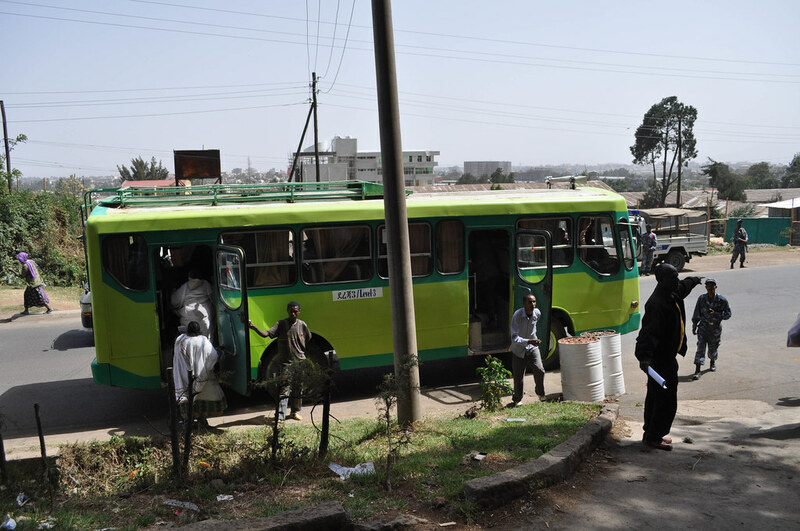 These are the busses that brought the Ethiopians to the airport. This adorable child is now an Israeli. That man you saw earlier? He had never used crayons before. 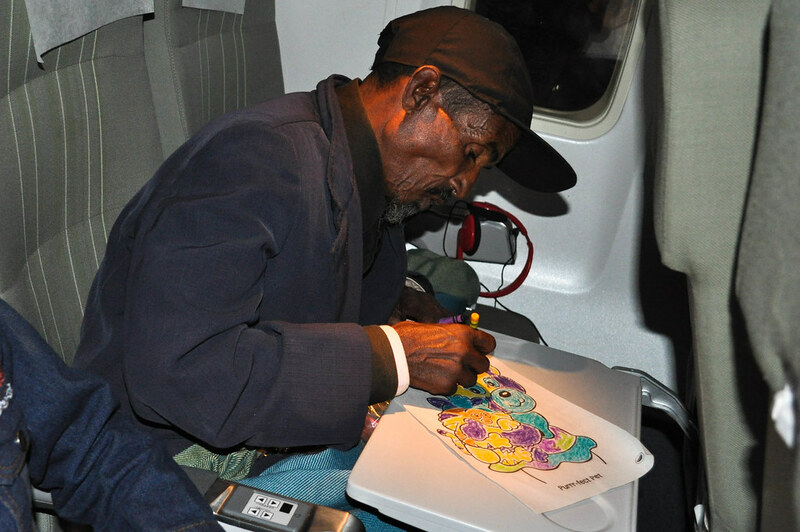 He had no idea what it was like to draw in a coloring book. None of the Ethiopians had. We taught the youngest how to color, and the teenagers couldn’t wait to show off their new, beautiful work. No matter how much I tried, there was no way I would be able to get this man to look up from his coloring book page. He was hooked. Now how difficult do you think it will be for him to take care of the things Israelis deal with daily like parent-teacher conferences, or working in a world so high-tech that anything he has ever learned about technology is outdated by hundreds of years. I have never so enjoyed a five-hour international flight. We had to teach them the basics – how to put on a seatbelt and how to flush the toilet (my deepest thanks to the guy who volunteered for that one). 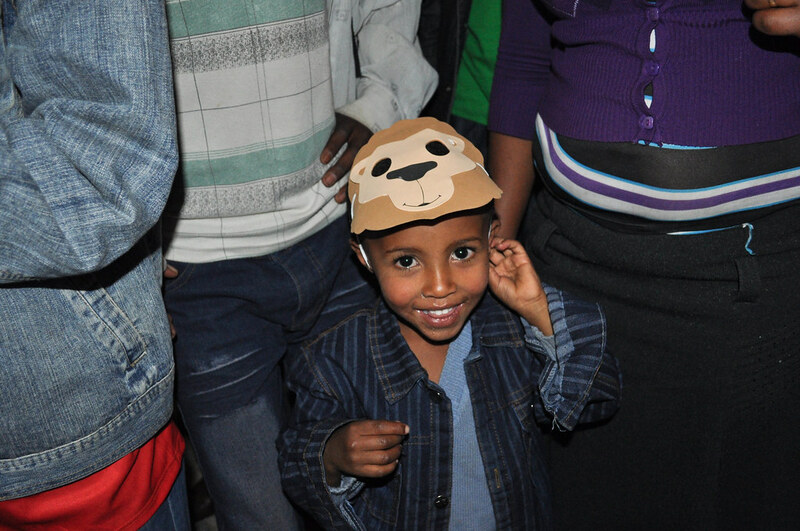 They were incredibly excited, although it doesn’t hurt that the kids were all wired on the candy we gave them. 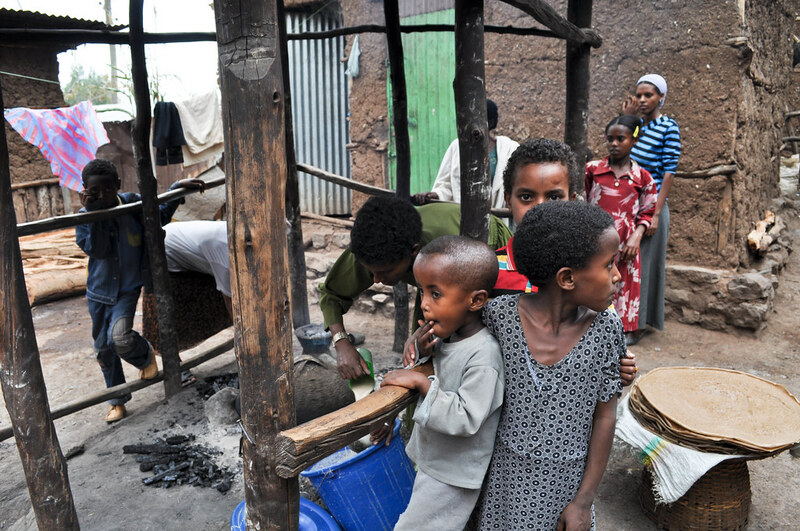 These are problems that the Ethiopian community has in Israel but not in Ethiopia? Diabetes, cavities, and diseases from smoking, are a few. In Ethiopia it is considered rude to smoke, in Israel, well, I’ve never been to a country where just about everyone does. When we touched down at Ben Gurion Airport, the Americans rushed off the plane, so that we could be the first to greet the Ethiopians in their new home country. We set ourselves up like the paparazzi, collectively taking thousands of photos of the Olim Chadashim (new immigrants) as they stepped off the plane. Many kissed the ground, having finally fulfilled the two-thousand-year-old promise that they would return to Jerusalem. Now that we have brought thousands of people basically thousands of miles from their homes, and thousands of years into the future, what will we do with them? For the adults: their skills are outdated, many cannot read or write in their native tongue. 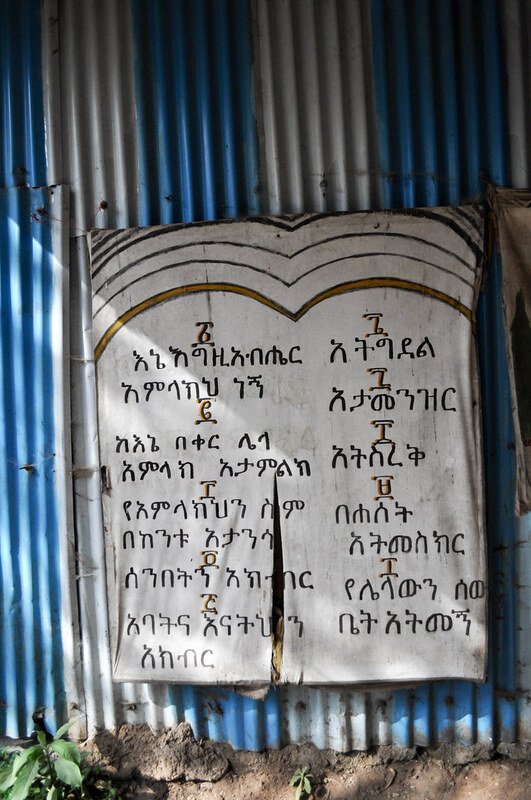 Before they can learn Hebrew, they have to be literate in Amharic. Some refer to them as a “lost generation” because there is no way they can catch up with the necessary skills to lead an average Israeli lifestyle. For the children: programs like Parents and Children Together (PACT) initiated by the Jewish Federation of Cleveland and run by the Joint are doing a fantastic job of closing the gap between the new arrivals and the sabras (native Israelis). Yet they are woefully underfunded and under-appreciated. For the teenagers: many, like their younger siblings, will succeed in adapting to Israeli life. Some won’t adapt. Those that don’t, like their parents, won’t stay in school, and won’t be able to get jobs or go into the Army. Behind closed doors, there are worries that that they’ll turn to crime in order to vent their frustrations. Our mission trip was entitled, Completing the Journey, but we aren’t. In reality, we need to raise tens of millions of dollars to make this a truly successful campaign. No one has the ability to donate all the necessary money today to make this campaign a true success. The Israeli government and the agencies are working hard to make the transition from Ethiopia to Israel as smooth as possible, but the responsibility is daunting. So, a few years from now, you may get a phone call, “we need your help,” they’ll say, “we need to raise money to get these troubled kids on the right path” – a path that we could get them on right now if we had the resources. Many Jews continuously ask why their money shouldn’t be spent more in their local communities instead of overseas. That’s a valid question; why not help those in need here at home? There’s a Jewish teaching that I’ve learned while I’ve been in Israel. While I know I’m not getting the saying exactly right, it basically goes, “help Jews in your local community first, then Jews abroad, then gentiles at home, and then gentiles abroad”. Now I don’t entirely agree with the statement, but it’s a valid point. We cannot ignore the problems that could develop if we don’t help these new immigrants adapt to their new home. 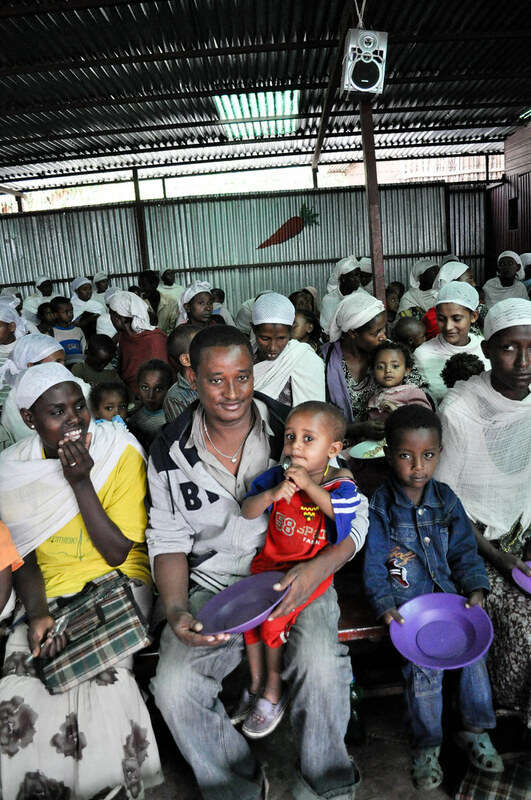 Yes we have problems in Cleveland, Boston, New York, Chicago and LA, but they’re nothing compared to the problems that could develop in Israel if nothing is done to effectively bring the Ethiopians into Israeli society. But why donate to Israel at all? Just because we’re Jewish we need to support Israel? A year ago I don’t know how I would have answered this question, I’m still not one-hundred-percent sure. Israelis argue, a lot. Who wants to continuously defend a country, that, let’s be honest, is a bit of a balagan (the Hebrew word for mess). Israel is a country constantly criticized in the world media. A country where some Jews hate other Jews. Yeah, it happens here. Despite all of this, I have a feeling that I am somehow inherently linked to the Israeli people. Some call it our “insurance policy” as Jews. It’s a tie to our past, for better and worse. It’s a place that people constantly ask me, “so when are you going to join our community?” or “come over for dinner!” And they mean it! That, is something special. Something worth defending. Something worth giving to and ensuring that it exists not the same, as it is today, but better. And if I have criticisms of Israel or the Jewish community, that’s ok. What’s important is that I, and others, support it, simply because, well, we should. If you don’t believe me, spend some time here, and decide for yourself. 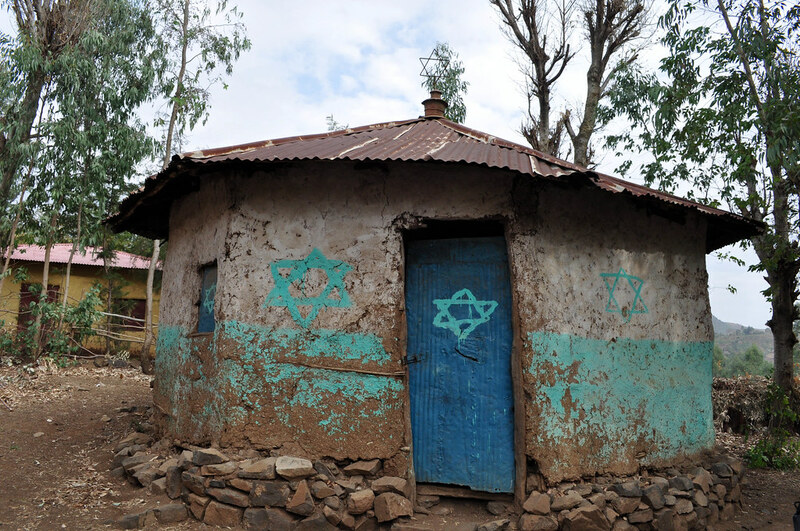 I firmly believe that the best way to help Ethiopian Jewry is by helping further the great work of Dr. Rick Hodes. Rick has made a difference in the lives of countless Ethiopians, by providing world class medical care to a population that would otherwise go without. Rick is or was the doctor at some point for almost all Ethiopian-Israelis. He originally went to Ethiopia as a relief worker during the famine, returned on a Fulbright Fellowship, and pretty much never left. Rick’s been there for 20 years, and is employed by the Joint (his work is mostly nonsectarian). He is a specialist in heart disease, spine disease, and cancer, because those are the big problems that go untreated in Ethiopia. You can support Rick’s amazing work by donating on the Joint website. This Is a Soul: The Mission of Rick Hodes, a new ~300 page book about him. ABC News has the first chapter available to read.